A rectifier converts alternating current (AC) to direct current (DC) and provides power power for the machines which need direct current. As Mak Plus Power Systems we offer rectifier solutions which have higher power density, smaller size, more portability and more flexible. Our long year experienced technical team and engineers work hard to provide best rectifier solution which is convenient with your requirements. Mak Plus Power Systems rectifier series offer efficient, optimum performance at typical load currents. The running program is kept in record of the system for aluminium components with different characteristics. The recipe on the system record is loaded for the different component and process can be started faster which also ensures standard production as well as keeping out from conflict of which recipe should be applied. 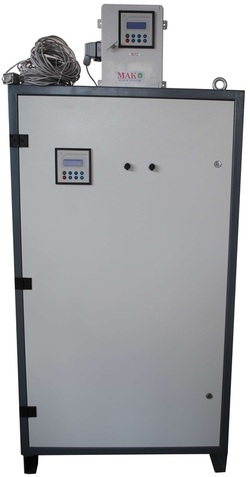 The operator panel designed for anodizing rectifiers has touch-screen ,coloured and wide screen. All functions of the device can be defined on this screen including calibration process, preparing precipices for components. The operator panel has IP65 protection class which is not effected by the moisture,acid...etc. at the environment and can be used for years safely. Mak Plus Power Systems, 50 Volt rectifier is anodizing , electro plating, chemical reaction rectifiers and have PLC control system which are durable for years and high reliability since they are made by industrial components. It’s open to innovations with flexible programming features.If the device is required to work with an outer system it can be adopted to any automation system easily.